tape, with no mixing of the sound. The following is a review of Just Pretend from Fort Baxter, which feature the same concert. Just Pretend is a very important piece of history; it's the first Fort Baxter soundboard release. I understand that before this only Hurt (Sunset CD) was recorded via sound desk, but that one was of poor quality with no high tones. On this CD the sound quality is "good" - not excellent as on the latest Baxter and Diamond releases. It seems that there's some mike overload in loud passages, and similarly it's very difficult to comprehend Elvis' dialogue because quiet passages are very quiet and he doesn't speak too loud. Sometimes the band and orchestra sound a bit muffled, with no specific instrument dominating - well, maybe the bass. One more thing to remark about the sound: there's the echo of the Hilton Showroom, very rare for soundboard recordings. The show featured here is from December 1975, when Presley was back in Vegas to compensate for the cancellations of August. He was exhausted because / despite he gave very good shows then. But now, he was back and, judging by this show, quite energetic and in a good mood. 'See See Rider' is very good version, and the ending features some wonderful work by Ronnie Tutt. Elvis himself comments it, but I can't make out much of it. 'I Got A Woman / Amen' is strong too, with "B-52" reprised. "Good Evening ladies and gentlemen, you know who you are and you think you know who I am." Quite funny welcoming, and a good sign! Before Love Me he has fun with a present from a fan - a hat / helmet with working windshield wipers! The Canuck's Elvis pages show some pics from the occasion. The oldies themselves are throwaways, nothing more nothing less - they're not messed up, just walked through. The highlights of this show include 'Trying To Get To You' which shows Elvis' deep, strong voice, and nice licks by Burton. 'And I Love You So' is very beautiful with the strings up front and EP's vibrato in control. 'You Gave Me A Mountain' was seldom performed in 1974-75, and here we have some magnificent long notes sung by Elvis, high and loud. He is not out of breath as often in 1976, and he really bothers to sing! 'Help Me Make It Through The Night' includes a finished string arrangement even though the song wasn't often done. Enjoyable piece of music! After some solos comes the two greatest, the title track ('Just Pretend') and 'How Great Thou Art' with reprise. Great! Maybe the best versions of both songs! His voice is warm, deep and powerful as opposed to the sharp sound as in the previous summer. I would say he sounds a bit like he has to slide his voice to the highest points - probably because of the three months pause - but his vocal range is as wide as always. Very powerful! The show features the single 'America' / 'Softly As I Leave You'. The former is obviously an early rendition, so it's not as full-blooded as lets say half a year later. The latter suffers because of the sound level; the recitation is not audible enough. 'Welcome To My World' is requested, and somewhat unwillingly he goes through the first verse. Glenn D. remembers his part perfectly as always. Presley asks Sherril Nielsen for the Italian words to 'It's Now Or Never', and he reprises the chorus in Italian (a cappella)! O Sole Mio! All in all this is worth having as this is the only soundboard from the season, and because it has more highlights than usually. I really think this is essential for the seventies fans. 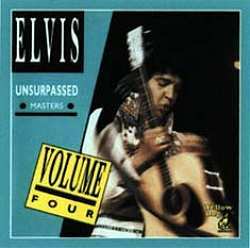 Reviewed by Joni Huopana, for Elvis In Norway.